What do you do with a 4-year-old who asks, in all sincerity, whether you think Pluto should be considered a planet, and can back up with scientific arguments the view that it should? How do you support a kindergarten child who has the fluency to read a 300-page chapter book*, but not the stamina to manage that long of a novel or life experience to grasp the content of books aimed at fourth or fifth graders. What constitutes an appropriate challenge for the 4-year-old who has been building elaborate LEGO structures for as long as you can remember, but struggles to hold a pencil? Serving young gifted students is complicated, in large part because of their asynchronous development. All gifted children develop asynchronously – their intellectual development is out of sync with their social, emotional, and physical development. In the early years, the differences in their development are especially apparent. Young gifted children often talk like little adults. You hear the word "actually" a lot as they correct your mistaken understandings about everything from LEGOS to planetary science to why ice cream before dinner is a perfectly valid idea. But they are still young, so after a rational discussion of the pros and cons of pets in families, can throw a beautiful, screaming temper tantrum because you said no to getting a puppy. They have big questions about life and death, but are young and want you as the parent to have clear and concrete answers to the unanswerable. At school, this asynchronous development can lead to frustration in typical classroom settings. At writing time, the 4-year-old who has a complex and fanciful story in his head, but who still struggles to form letters, might decide to give up on writing because it is too frustrating. Parents and teachers might be misled by the child's articulate speech and big vocabulary, and set expectations for work and behavior that is beyond her maturity level and ability to be successful. Early readers can become bored with books for their age. Yet, books that sync with their reading levels might not sync with attention span or emotional maturity. At Seabury, our early learning program is designed specifically to meet the needs of these asynchronous learners. 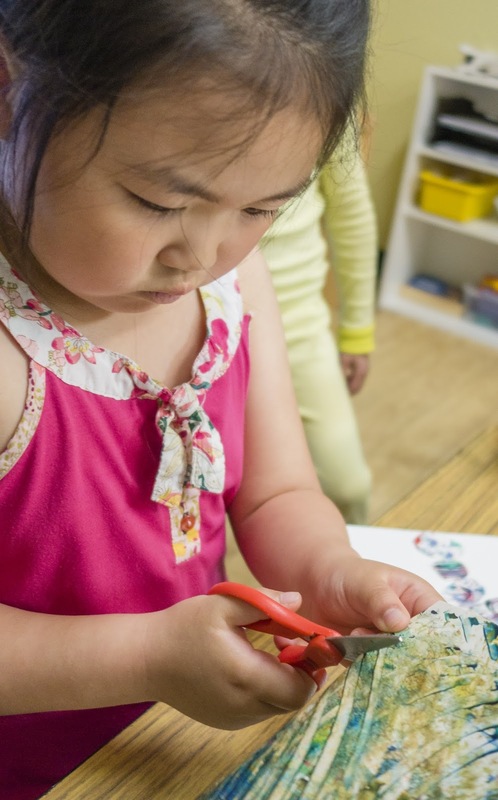 The prekindergarten and kindergarten classrooms are full of blocks, toys, craft supplies, books and materials that support play and imagination, and are developmentally appropriate for young learners. You won't see kids sitting at desks filling out worksheets. Worksheets are usually looking for the short, “correct” answer. We want our kids to be thinking about big ideas and creating possibilities. Young learners need to learn with their whole bodies. In a Seabury early learning classroom, you will witness kids engrossed in deep conversations as they build complicated block structures. You will see them using the language of scientific inquiry as they study concepts of interest to them, creating hypotheses and testing theories through experiments and research quests. When it's math time, you might see some students physically solving addition and subtraction problems by moving along a huge number line on the floor while others are developing number sense using a variety of manipulatives and activities that allow them to explore complex ideas in age-appropriate ways. At writing time, you will see some students writing independently and others dictating their big ideas to teachers. Then they may copy some or all of what they dictated so that they can experience the joy of getting their ideas on paper, while working on developing the physical skill of handwriting. Individualized instruction in skills such as reading, writing and math allow teachers to tailor instruction to the skill level and the developmental level of students. An early sight reader may need to go back and learn some missed phonics rules to recognize word patterns and be a more effective speller. A later reader who is bright and intuitive might need instruction in sounding out simple words, and also to be part of a reading group doing high level analytical comprehension activities with Junior Great Books stories that have been read aloud. Instruction for bright young students needs to address both strengths and areas for growth as students' intellectual, social and emotional development all move forward at their own pace. I once read a quote by a parent who said that she wished her gifted child had a digital readout on his forehead that said what age child she was dealing with at any given moment. 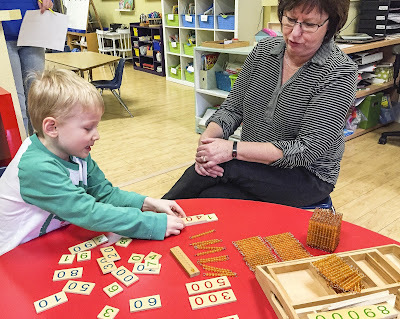 Seabury's early learning program, like all of Seabury's programs, addresses all of the many ages our early learners represent – the 4-year-old pre-k student who is more like an 8-year-old in math, a 6-year-old in reading and a 3-year-old when it comes to sharing toys. This allows students to develop their strengths, address their weaknesses, and grow as a whole person at a pace and in a way that is tailored to exactly what that student needs. And, just as importantly, to do so in the company of other bright kids who "get" them and teachers who can support and nurture their unique learning needs. *A note about early reading: Only about 50 percent of gifted children are early readers. The rest begin to read when their brain is developmentally ready and often at the same time as other, more typically developing children. For a small percentage of gifted children, reading is difficult because they are both gifted and have a learning disability in reading (check out "stealth dyslexia"). Don't assume your preschool child isn't gifted just because s/he isn't reading early. Pay attention to other indicators of giftedness – a large vocabulary for his/her age, a passion for complexity, a more sophisticated sense of humor than most age peers, a powerful memory, etc.) Research indicates that parents are good judges of their child's development and of whether or not their child may need more than a typical preschool or school program offers. For more information about identification of gifted children, read What We Have Learned About Gifted Children at the Gifted Development Center.